If you're using stand-alone calendars to schedule events, you'll want to make sure the right team members can see your calendars. Just share your calendars with your team, and everyone will be on time. There's no read-only access to calendars. 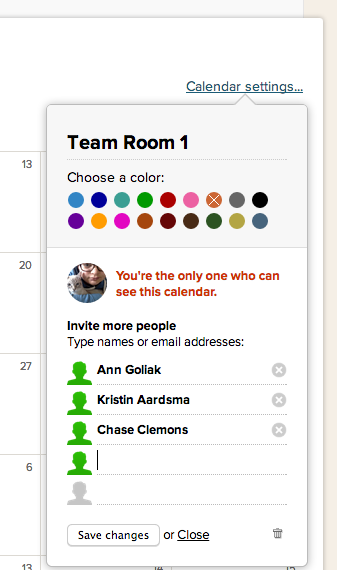 When you share a calendar, users can see and create events on that calendar. Click on the Calendar you want to share and you'll be taken to that specific calendar. Click "Calendar settings" on the right. Type in names or companies/groups and click Save to give your users access to your calendar. 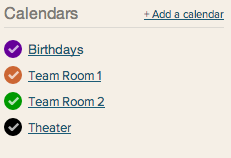 If you're an admin you can can add a user to multiple calendars at once. Go to their person page and click their "superpowers and access to projects" link. Select the calendars you want to give them access to. Everyone on a project can see the project calendar (except for hidden events in Client Projects).